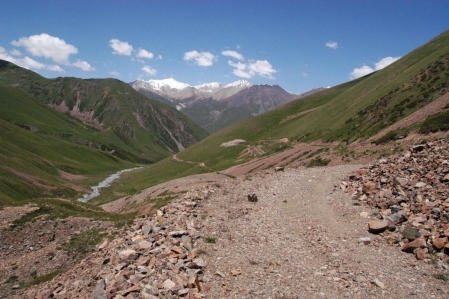 The Kök-Arik Ashuu pass (3,931 m) and Alman Ashuu pass (3,599 m) connects the cities of Almaty (Kazakhstan) and Cholpon Ata (Kyrgyzstan). 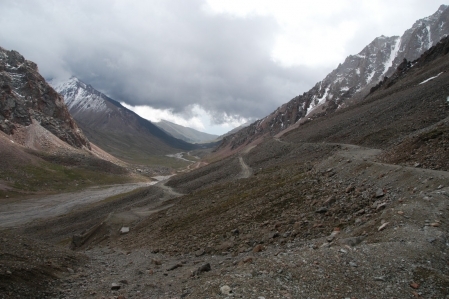 The road crosses the Chong-Kemin National Park and offers an unforgettable panorama. 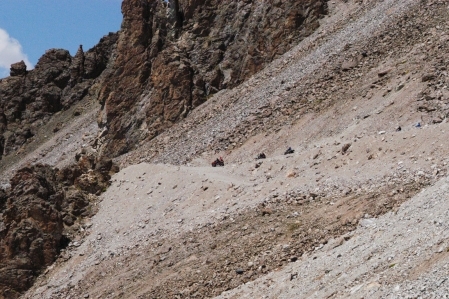 Unfortunately, the pass is open only in the months of July and August. Nevertheless it is worth the pass by both sides to ride. 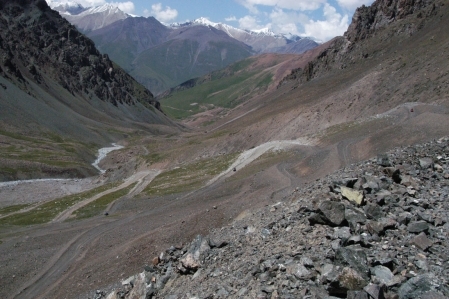 The Kok-Arik Ashuu pass is passable only in July and August. Very bad gravel road only with Quad, ATV, 4x4 jeep, lightweight enduro or motocross motorcycles for driving. The last year was the pass happen no more Jeep. There are too many rock avalanches come down from the surrounding mountains.